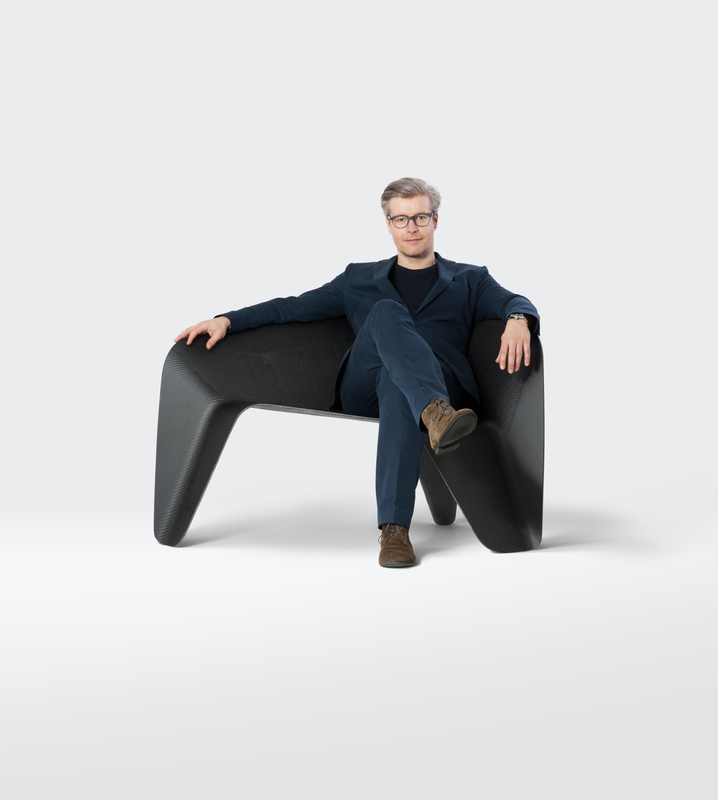 Thomas Feichtner is an established Austrian designer. His work in the area of furniture and object design is halfway between industry and handicrafts, mass production and one-of-a-kinds and has been acquired by various design collections. Feichtner designed products for traditional crafters such as Lobmeyr, Neue Wiener Werkstaette, Jarosinski & Vaugoin, TON, Augarten and Carl Mertens, and undertook freelance projects in cooperation with Vitra and FSB. 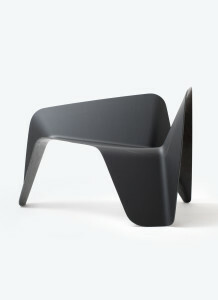 In the year 2011, he was awarded the Austrian State Award for Design. Thomas Feichtner lives and works in Vienna. Carbon Chair is a consistently constructive and yet formal and experimental design by Thomas Feichtner. It is a sheet of carbon fibre, which contacts the floor at three points and depicts a line from above and below, positively and negatively. The result is a formal interplay of inner and outer surfaces – a recurring theme that runs through many of Feichtner’s works. 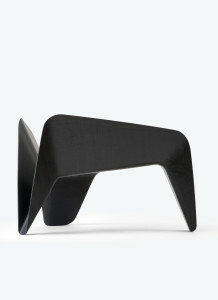 Carbon Chair is produced as part of a limited edition of eight pieces.